Over half of New Zealand residents believe immigration from Asia is a positive force in the country. It's part of a rising tide of goodwill, and is good news for anyone considering immigration to New Zealand from India. Asians in New Zealand increasing in recent years. It seems that when New Zealanders get to know people, either as individuals or part of an ethic or national group, they are welcoming. The groundswell of goodwill comes alongside rising immigration. New Zealand has withstood the buffeting of the economic crisis better than many countries. Unemployment is relatively low and salaries are high, making a New Zealand work visa an attractive option. Workers from all over the world are swarming to this beautiful island. Many people visit with a New Zealand tourist visa, only to fall in love with the country and return for a longer stay. Approximately 85% of New Zealanders are immigrants or the descendants of immigrants, with only 15% being Maori, the island's original inhabitants. Perhaps as a result of this, New Zealanders value people who learn about their country and are quick to settle in. The population is predominantly white European (69%) so for many Asians, immigration to New Zealand means acclimatizing to western habits. However, for Indians who speak English fluently, the battle is half won as this is the main language of this small island nation. Immigration to New Zealand is at a record high, with the country accepting more new immigrants now than at any time in the last 10 years. This figure included thousands of Indians, and Indians are now the fastest growing ethnic group in New Zealand. The country is already home to over 100,000 Indians from every part of our country. 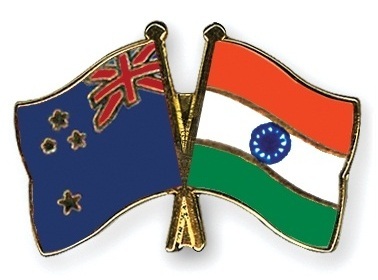 Indian residents in New Zealand are primarily clustered in the major urban areas of Christchurch and Auckland. Both of these are known for their cutting edge industries, and welcome skilled immigrants with IT, medical and science skills. Famous for its pleasant climate and high quality of life, New Zealand is regularly voted one of the best places to live in the world. A small country, it has a chronic shortage of certain skills, and welcomes workers from around the world. Skilled migration to New Zealand is popular with many sectors, and anyone considering their career development or longing for a change of scene should consider living and working in New Zealand. The expert visa consultants at your local MoreVisas office will be happy to answer any questions you have and to handle your application.